Accounting is a vital part of your business, from day-to-day accounting procedures to tax compliance.  The Lutz Client Accounting Services (CAS) team specializes in performing a multitude of accounting and financial functions giving you the time and flexibility to focus on running your business. Whether you want to automate your systems, control your overhead through outsourcing or find ways to improve procedures for timely and accurate financial information, our CAS team is ready to help. We can analyze your current situation and find ways to simplify your accounting process. The Lutz CAS team provides professional, comprehensive accounting services. Our depth of technical knowledge and turn key technology solutions can be customized to the level of service needed for your specific business. From entity selection and set up to developing a business plan that fits your unique scenario, the Lutz CAS team has over 30 years of business consulting experience which makes us uniquely qualified to advise an owner of a new or expanding business. It is vital to the success of your company to efficiently use an appropriate accounting software solution. The Lutz CAS team can assist you in selecting, purchasing and installing new accounting software that meets your business requirements and properly maintains financial records. In addition, our award-winning software support team can provide training and support.